Restaurant & Peranakan boutique / gallery Kim Choo Kueh Chang has four locations in Singapore, one of which is within Century Square mall (2 Tampines Central 5). Established in 1945, Kim Choo Kueh Chang is best known for their classic Nyonya rice dumplings, a delicacy that has been preserved in original Nanyang taste and fragrance, unyielding to the hands of time and untainted by modern influences. 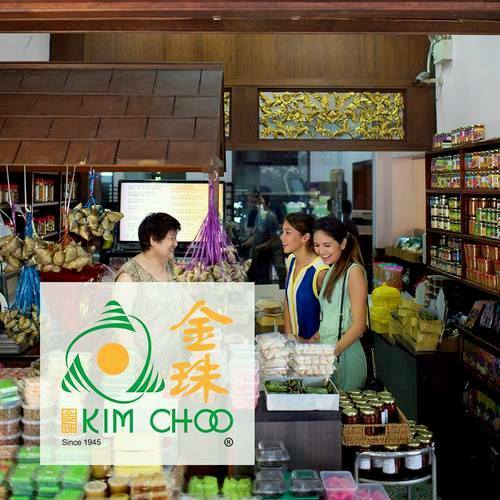 Kim Choo Kueh Chang, where “Kim Choo” is the name of the company’s founder Mdm Lee Kim Choo, and “Kueh Chang” is the Peranakan way of saying rice dumplings, also offers a wide variety of other products and services that seek to maintain the Peranakan culture. The official Kim Choo Kueh Chang Facebook brand page is located at www.facebook.com/kimchookuehchang/. Following the Facebook page, you’ll learn more about the company’s heritage, their range of products, plus much more.